An easy recipe which can be adapated to any taste. In a large bowl, combine rolled oats & chopped nuts. In a glass measuring cup combine melted coconut oil, maple syrup, cinnamon and sea salt. Whisk well with a fork. Drizzle oil/ syrup mixture over the oats, stirring as you go to make sure all the oats are well coated. 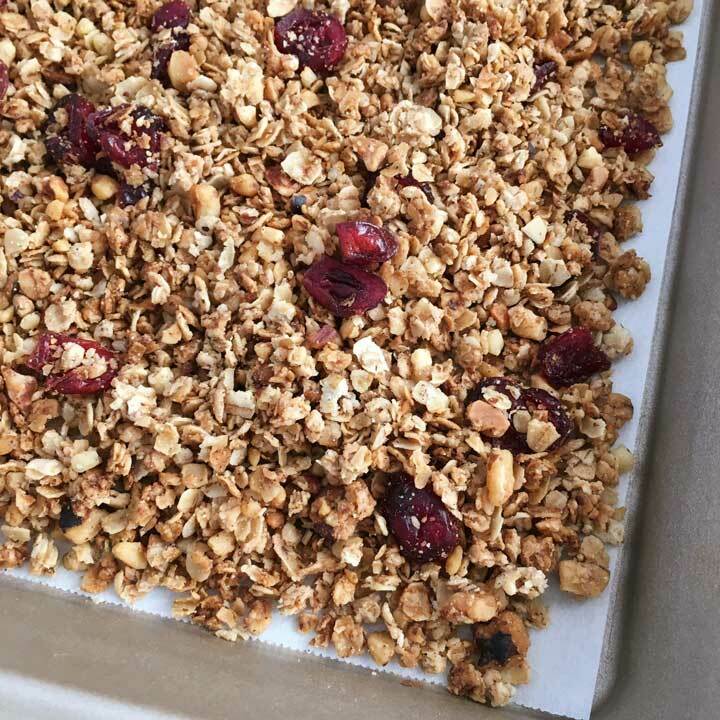 Spread granola on 2 baking sheets. Bake for approx 20 - 25 minutes until golden brown, stirring once after about 15 minutes. Remove from oven and allow to cool a bit before stirring in dried fruit.